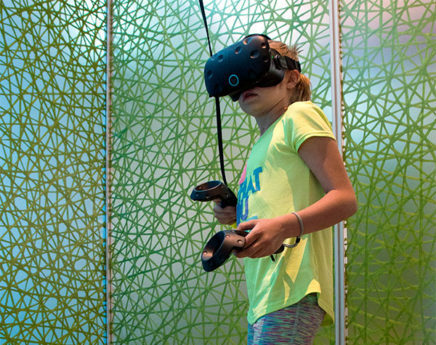 Explore the endless worlds of Virtual Reality in Virtual Explorer, our NEW Virtual Reality (VR) exhibit. You and your family will experience incredible and impossible environments, immersive gameplay, and a new kind of storytelling. Discover the incredible technology that will someday change how we play, work, learn, create, and interact. Open the magic door. Step inside. Become a Virtual Explorer. Please note: Virtual Explorer closes at 3:30pm Monday-Friday, and 4:30pm on Saturday and Sunday.